We offer the largest number of parking spaces and garage spaces available in the UK. All of our spaces are available to rent immediately on a monthly contract, at competitive prices that undercut traditional car parks and storage companies. Also, if you can't find anything suitable simple call our friendly, professional staff, and we will work on your behalf to find something for you. As an established, professional company, you can rest assured all your needs will be met. We will set up the contract, negotiate the terms on your behalf, collect your monthly payment by direct debit and generally manage the contract from start to finish. And remember, we are only a phone call away to keep things running smoothly. requiring a large number of spaces. A shortage of parking and storage is a national epidemic, we are simply running out of space. Traditional parking is overpriced and overcrowded, and new housing developments rarely come with sufficient parking spaces and garages. However, there are property owners who have vacant spaces sitting empty. Whether it be an apartment's allocated space, house driveway, empty garage or underused commercial car park. We offer cheaper, safer, hassle free parking and storage spaces by letting these spaces on behalf of our landlords. Off street parking that is safe and secure, for both you and your car. No need to worry about careless people damaging your car! Never worry about having the correct change again. The service is extremely flexible, you can rent on either a 5 day or 7 day basis, including or excluding bank holidays, to suit your specific needs. Rather speak to a person? Give us a call! If you have a spare parking space, garage or underused car park - why not let it out and enjoy an additional income. We are the UK’s number one agent specialising in parking spaces and garages, with over 20,000 landlords on our books. advertising your space straight away. We immediately begin marketing your space on our website and our network of partner websites, newspapers and magazines. We also email details of your space to applicable people on our waiting list of over 7,000. We handle all enquires from prospective tenants, arrange viewings and negotiate terms on your behalf. We produce a professionally drafted contract designed to protect you. Our most popular contract is on a rolling monthly basis, where you can choose to let your space for up to 24 hours a day, either 5 days (Monday to Friday) or 7 days a week. Your tenant is issued with a unique, clearly visible parking permit, for recognition and control. We collect all monthly rental amounts using direct debit, ensuring a smooth and safe method of collecting and then passing on your rental income. We are here to help should any issues arise during the tenancy period on either side. We also proactively negotiate rate increases on your behalf when market conditions prevail. As per a typical residential letting agent it’s free to advertise your space, and if you choose to go ahead and let your space through us our fee is 20% (+ VAT) commission of the monthly rental fee we collect on your behalf (an administration fee is deducted from the first payment of a new contract). 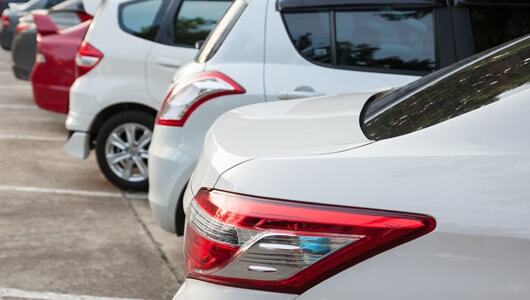 We are the largest supplier of monthly contract parking to individuals and business throughout the UK, and are always in need of additional parking sites. We have successfully sourced business for many of the UK's leading car park operators, and are confident that we can provide additional contract parking customers for your car park. Please call Luke Kelly on 0330 056 3399 to discuss further. We are an agent that specialises solely in parking spaces and garages. This focus has turned us into the UK's largest agent for parking spaces and garages, and has given us a level of expertise you cannot find elsewhere. From the beginning we have always put customer service first. Now as an established, successful company enjoying healthy levels of growth we intend on keeping it that way. Whether you are looking for an agent to let out your unused space, or need a space for yourself, you will always receive the highest level of service. We contact every new customer by phone, and you can always expect clear communication, honest advice, and professional service.